Associate Professor Felipe Gonzalez, an aeronautical engineer with the Australian Centre for Robotic Vision, has been using drones to quickly process data of the reef using cloud computing services, saving weeks or perhaps months in data-crunching time. His project has received backing from Microsoft as part of its US$50 million AI for Earth program, which is designed to use technology to help mitigate and adapt to challenges such as climate change and the catastrophic loss of biodiversity. 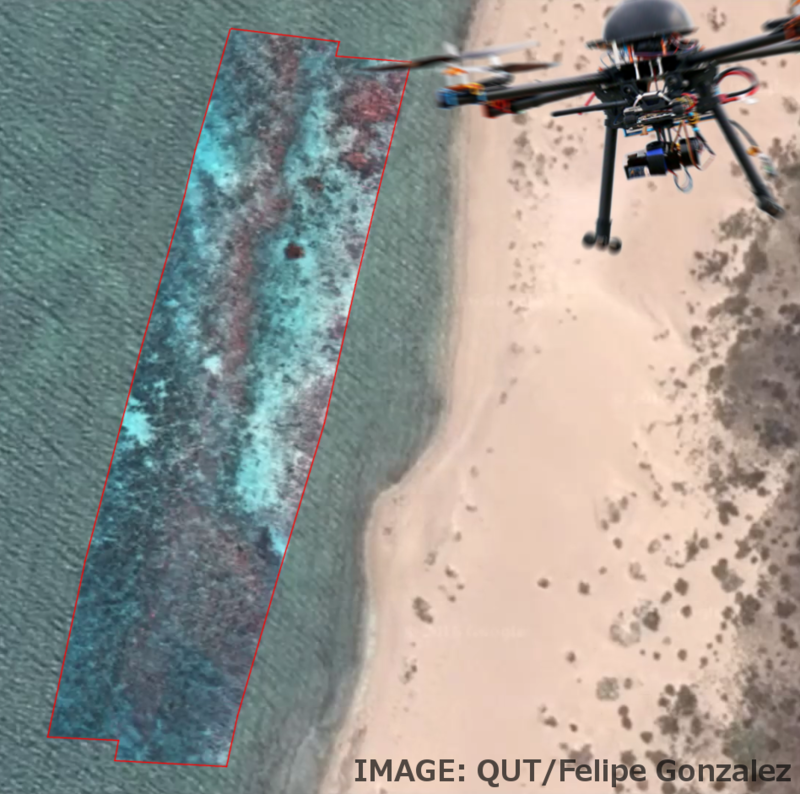 Professor Gonzalez, partnering with the Australian Institute for Marine Science (AIMS), has captured data from drones flying at 60 metres above the Great Barrier Reef at four vulnerable reef locations. The Great Barrier Reef stretches 2,300km with about 3,000 reefs, making the challenge of monitoring the condition enormous. The drone system uses specialised hyperspectral camera which, when validated using AIMS underwater data can not only identify coral against the background of sand and algae but can also determine the type of coral and precise levels of coral bleaching. A standard camera detects images in three bands of the visible spectrum of red, green and blue. The hyperspectral camera, flying over the reef, uses 270 bands of the visible and near-infrared spectrum. Professor Gonzalez said the drones had already proved to be a successful tool in reef monitoring, able to cover a far bigger area in a day than in-water surveys and not hampered by cloud cover which impacted surveys by plane or satellite. “You could never get this level of resolution with a satellite or an aircraft,” he said. But he also said the research generates huge amounts of data. “Processing Gigabytes of hyperspectral imagery is time consuming,” Professor Gonzalez said. “On a regular desktop PC, processing the data will take months.